Is UN envoy a Victim of US ‘Dual Track’ Policy on Somalia? In the first track, the United States would support the then Transitional Federal Government (TFG), and in the second track, the US will engage with the “governments” in Somaliland, Puntland, and other regional or clan entities that existed in Somalia. With the strong political connotation, the “dual-track approach” carries the use of the term which had disappeared from official US lexicon since the election of Hassan Sheikh Mohamud as the president of Somalia in 2012. 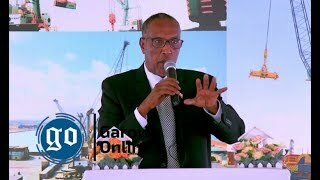 Still, the policy seems to have been borrowed and employed by the rest of the international partners and neighbors that supported Somalia’s recovery towards a bright, secure and stable future. Ethiopia, a next-door neighbor to Somalia, has been pursuing almost a similar policy until recently. It equally faced a share of criticism from the Somali elite, because, on one hand, it was argued to be undermining the sovereignty and the territorial integrity of the Somali state; and on the other hand, it was seen to be promoting a zero-sum competition that exists between clans that were sowing seeds of division, marginalization, and hate that perpetuated violence and chaos. Since the Arta Peace Process, all the UN Security Council’s resolutions on Somalia have been reaffirming the respect for the sovereignty, territorial integrity, political independence and unity of Somalia, including Somalia’s rights with respect to offshore natural resources, including fisheries, in accordance with international law. 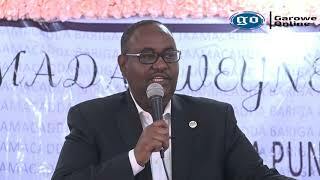 The dual-track policy reduced Somalia to only possessing a flag and a seat in the United Nations as symbols of its sovereignty with each sub-state actor enjoying some degree of autonomy. With the election of Mohamed Abdullahi ‘Farmajo’ who first became a well-known figure in Somalia in November 2010 following his appointment as prime minister by the then President Sharif Sheikh Ahmed. Farmajo implemented many popular policies that earned him trust and respect, both nationally and internationally. He rode into office on a wave of public support because of his record during an eight-month stint as prime minister in 2010 and 2011 and also his staunch nationalism against foreign meddling on both unilateral and multilateral levels. With clouds of disenchantment hanging on the relationship between the UN envoy and the Somali government, Haysom pointed fingers at the federal government of Somalia for what he termed as violations of human rights, alleged killings of civilians by security forces and also demanded to know what the role was of AMISOM was in the arrest of former presidential candidate and ex-Shabaab co-founder, Mukhtar Robow. 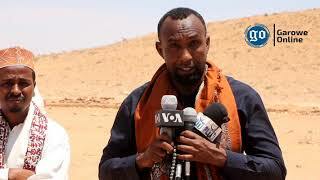 Tawane is a researcher, writer, and analyst focusing on the Horn of Africa and the Great Lakes regions. 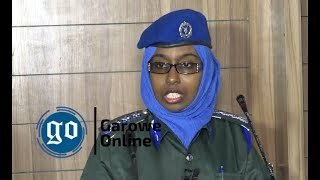 DISCLAIMER: The views expressed in this article are the author's own and do not necessarily reflect Garowe Online's editorial stance. 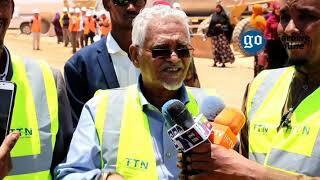 Somali government accused Haysom of interfering in the country's internal affairs.